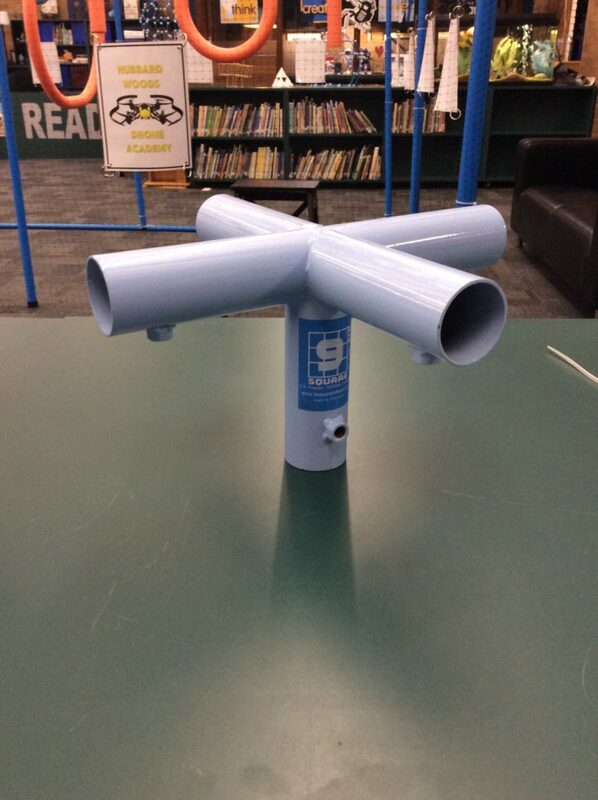 How to Build a Drone Cage for Your Makerspace! 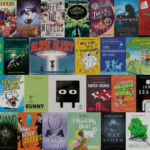 When I first tell people that I teach programming and allow my elementary students to pilot drones in our library, they generally give me that look of confusion. The same one you might get when you envision a chimpanzee driving a car; you bet they could do it, but you sure wouldn’t want to be on the road while it is happening. In our makerspace, The IDEA Lab, we of course have safety as our first priority. To this end, we wanted to create a space where students, especially students who are just getting started with drones, could fly safely and not hurt themselves, others, or even the drones. 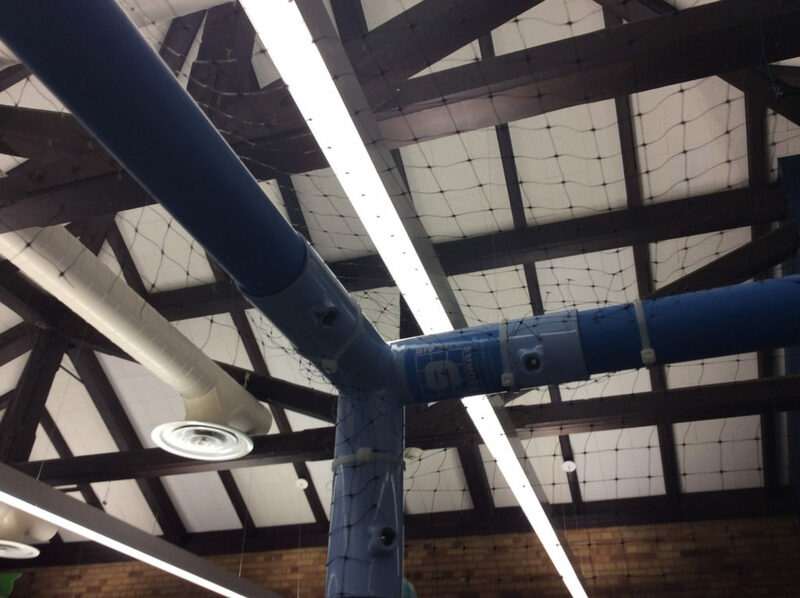 We got the idea for a drone cage from a Twitter post from the company Skill Share. They had developed a fantastic program in the UK in which they bring a drone cage into primary classrooms and teach kids to code and fly. This unlocked the idea of how to make drone safety a reality for me. The interesting thing about their cage design was that it could fit in traditional classrooms, not just large assembly areas. We wrote to the company asking if they would be willing to build me one. They were incredibly gracious and came up with a kit that they would sell us, but when we took into account the cost of shipping, it was not feasible. So we explored other options. We thought, “This would be perfect!” Bonus, if we used this as the base for our drone cage, our gym teachers could use it indoors or out for a fun extension to volleyball and four square. After checking that our colleagues in the gym would be interested we decided to order the deluxe kit from Paolos Sports. 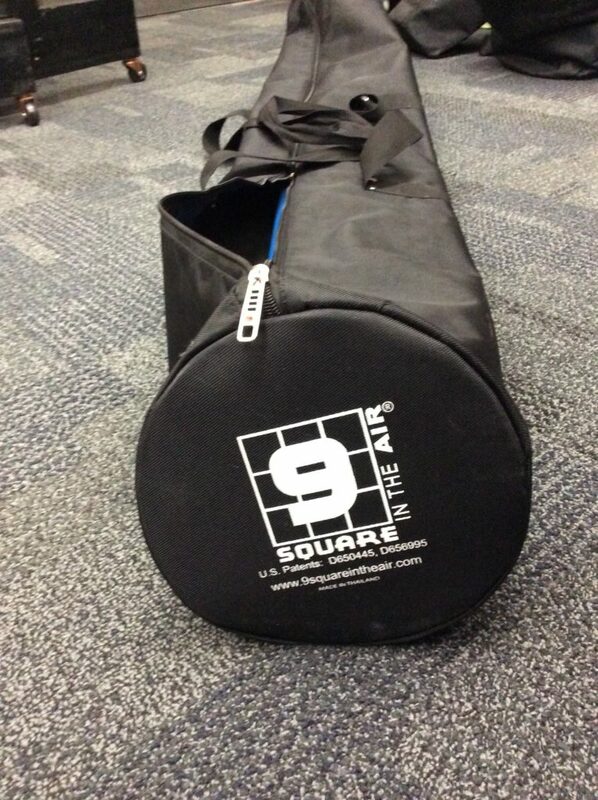 The deluxe kit ($799) includes everything you need to make an 18′ by 18′ square flying area and comes packaged in extremely sturdy storage bags. The high quality storage bags that the long poles are packaged. Palos Sports does offer a kit that is half the price. It includes all the powder coated steel connectors and you just need to cut the poles from PVC pipe. We chose not to go this route. The powder coated steel connectors are incredibly high quality. Next we had to figure out how to cover the drone cage in a netting that would stop the drone from flying out of the area but not break the bank. We explored a wide variety of mesh netting from the styles used in golfing ranges to batting cages. In the end, we discovered that for $25 we could get 100′ of 7′ tall deer fencing that would work perfectly for our set up. 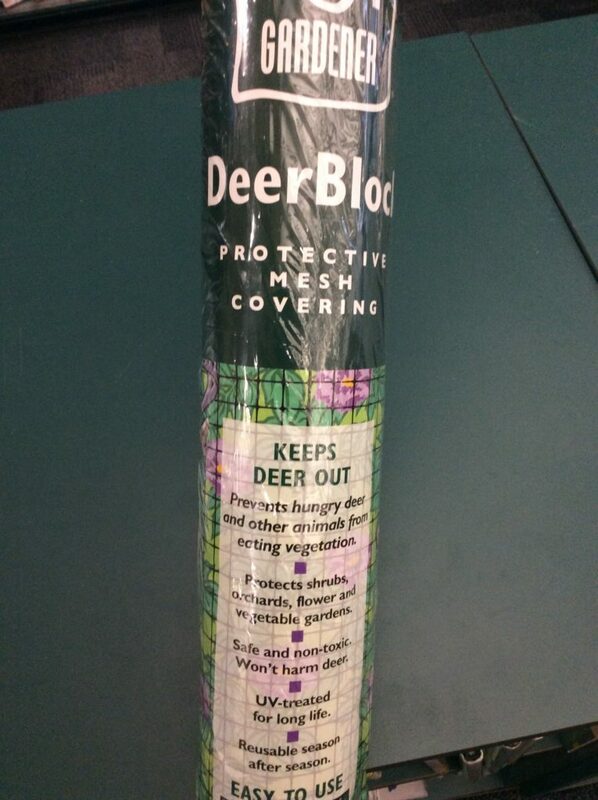 Deer netting is an easy to use/cost effective alternative. The flexible netting is easily attached to the frame with zip ties. In about an hour we were able to anchor netting to the entire cage. 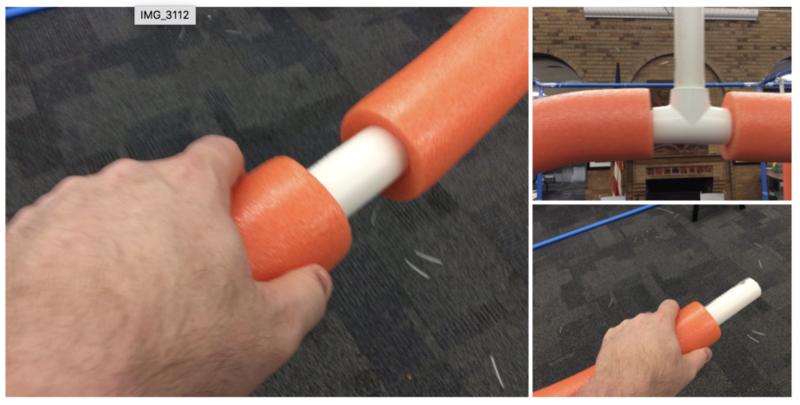 A few PVC connectors and pool noodles later, some simple obstacles were created and hung from the tubes. Now that the cage is up, it’s time to start flying!